In this blistering polemic, veteran journalist Mick Hume presents an uncompromising defence of freedom of expression, which he argues is threatened in the West, not by jackbooted censorship but by a creeping culture of conformism and You-Canâ€™t-Say-That. The cold-blooded murder of the Charlie Hebdo cartoonists in January 2015 brought a deadly focus to the issue of free speech. Leaders of the free-thinking world united in condemning the killings, proclaiming â€˜Je suis Charlieâ€™. But it wasnâ€™t long before many commentators were arguing that the massacre showed the need to apply limits to free speech and to restrict the right to be offensive. It has become fashionable not only to declare yourself offended by what somebody else says, but to use the â€˜offence cardâ€™ to demand that they be prevented from saying it. Social media websites such as Twitter have become the scene of â€˜twitch huntsâ€™ where online mobs hunt down trolls and other heretics who express the â€˜wrongâ€™ opinion. 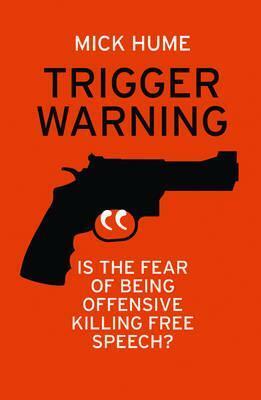 And Trigger Warnings and other measures to â€˜protectâ€™ sensitive students from potentially offensive material have spread from American universities across the Atlantic and the internet.